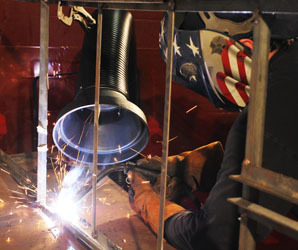 NIKRO's CH2000 Portable Air Cleaning System is developed to capture & filter welding fumes, light particulate, oil mists, and smoke that is generated in the workplace to protect employees from dangerous contaminants. The Nikro CH2000 can save you money on maintenence costs and keep shop environments safer by removing dust and oil mists before they can reduce visibility or get deposited on machinery and floors, as well as filtering then returning your cooled or heated air directly into your shop. 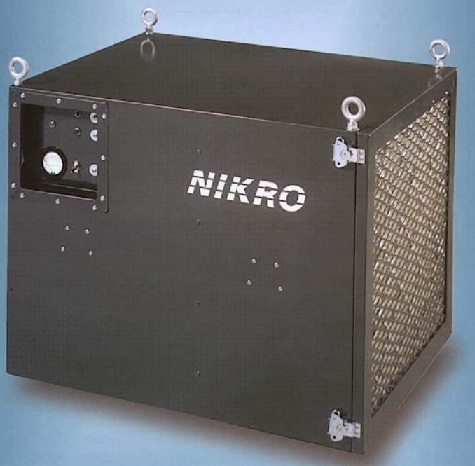 The CH2000 from NIKRO is designed specially for general filtering and ventilation applications with a dual stage filtering system (95% final stage filter). 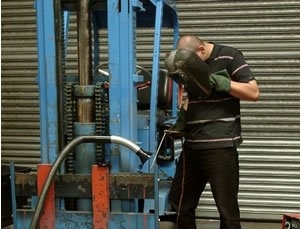 In large areas multiple units can be spaced out to achieve effective air cleanig. 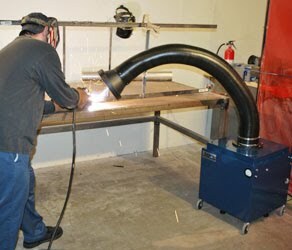 These caster mounted air cleaning machines from NIKRO are portable and easily maneuvered about the workplace, and provide economical solutions for maintaining a clean & safe shop, all while protecting employees and complying with E.P.A. and O.S.H.A. standards. The main filter is a 95 percent high efficiency filter and captures fine particulate before being released back into the air (a 99.97 percent @ 0.3 micron H.E.P.A. filter (D.O.P. tested) is one possible main filter option).